Order the Best Quality Burlap Tablecloths in Natural color. 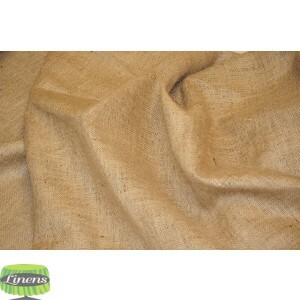 Fabric Description: Our Natural Burlap is Approximately 10oz in weight. This is a Natural 100% Jute Fabric. Natural burlap is a practical fabric with a wide variety of uses. More recently, this item has become a hot commodity for Table Covers, Linens, Table Runners, and accents for the Event and Party Rental industry. Fabric is also sold by the yard: Yes Available by the Yard. Fabric is also sold by the wholesale bolt: Yes Available wholesale by the bolt. Would you Rather see a Sample Swatch first? Click Here! We always suggest making sure the color is appropriate for your event in mind before placing large orders.